For those who follow me on Twitter, you probably know I spend much more time at repertory theaters than any multiplexes (or even many art houses) these days. It is a shame, however, that I rarely write on these films, because they are often more fascinating than anything new, and more than likely available on DVD or Netflix or HuluPlus for your own viewing. Inspired by friend and fellow film critic Kenji Fujishima, I’ll be listing my screening log every Sunday. I’ll also choose one film out of the bunch to write some thoughts on, which will be underlined. This week was mainly spent at Film Forum at the William A. Wellman retrospective. The director was a mainstay in Hollywood for over three decades, directing films like Wings (the first film to win an Oscar for best picture), The Public Enemy, and The Ox-Bow Incident. -A Trip to the Moon, 1902 (Colorized Restoration, 2011): Directed by Georges Méliès. HD Screening at Film Society of Lincoln Center. -The Purchase Price, 1932: Directed By William Wellman, 35mm Screening at Film Forum. -The Man I Love, 1929: Directed By William Wellman, 35mm Screening at Film Forum. -Night Nurse, 1931: Directed By William Wellman, 35mm Screening at Film Forum. -Yellow Sky, 1947: Directed By William Wellman, 35mm Screening at Film Forum. 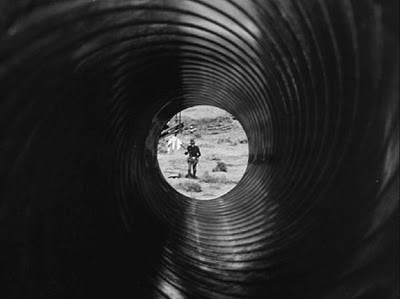 -The Ox-Bow Incident, 1943: Directed By William Wellman, 35mm Screening at Film Forum. -L’Enfant, 2006: Directed By Jean-Pierre and Luc Dardenne, 35mm Screening at IFC Center. There’s something about the pleasure of knowing nothing about a film before seeing it. That’s the pleasure I got with discovering William Wellman’s Yellow Sky, a film full of numerous dark and wondrous pleasures, and a post-war atmosphere to boot. 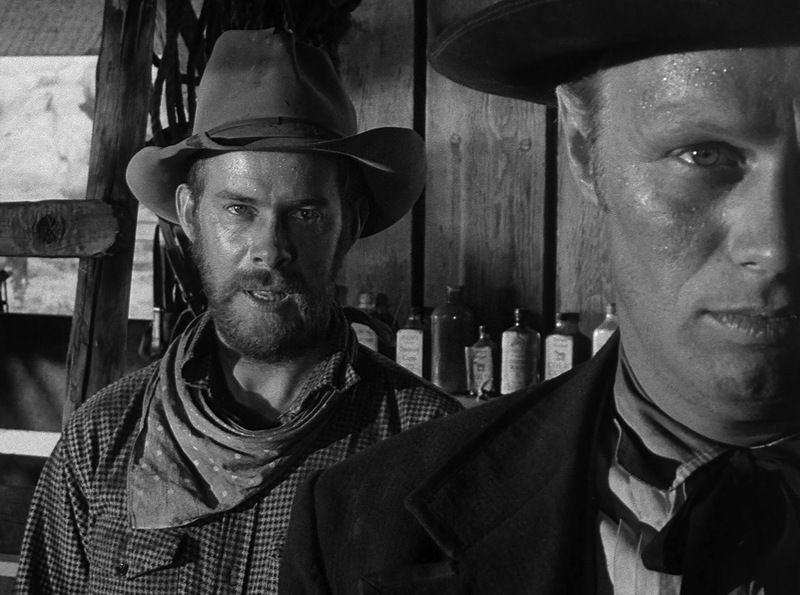 Like many great films from that era, Yellow Sky falls more under the category of “psychological western,” a term used to describe westerns that showed the influence of film noir (see Pursued, River of No Return, and Winchester ’73). With its dark and barren landscapes, Yellow Sky has much more in common with something like John Huston’s The Treasure of Sierra Madre. It follows a band of thieves in the Reconstruction period who find themselves chased to a 70-mile stretch of salt flats they are forced to crossed. 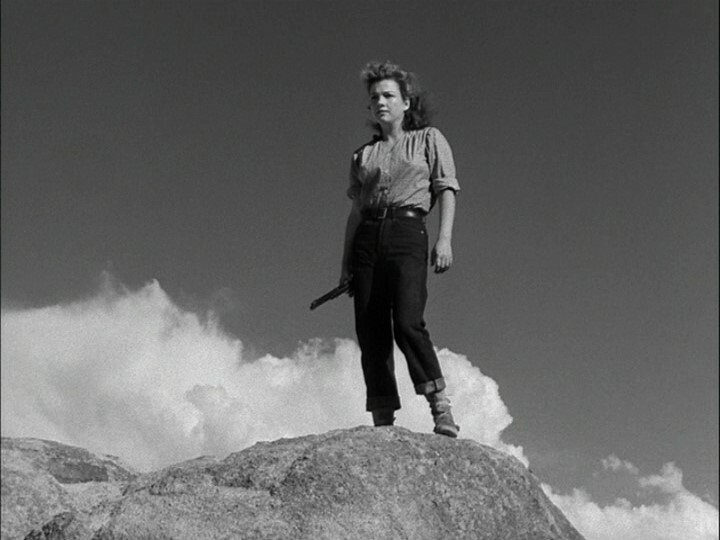 Led by their stern leader (Gregory Peck, channeling the intensity of Atticus Finch without any of the kindness), the group begins a Meek’s Cutoff-like trek across a barren territory before coming across a ghost town, only populated by an aging grandfather and his very masculine daughter, played by Anne Baxter (and setting a precedent for Joan Crawford in Johnny Guitar). As the plot continues, there’s a hidden stash of gold to be found, and a series of double crosses and triple crosses to be had, as Peck dukes it out with the fine suit wearing second in command, played by Richard Widmark. Like many great noirs, this film deals with greed, anti-heroes, and masculine anxiety (the best shot in the film is certainly Baxter; she grazes Peck’s head with a bullet after she comes on to her). Late in the film, the grandfather exclaims, “guess the war's upset a lot of those boys, and set them off on the wrong foot." An observation about the Civil War, or World War II? I wish Yellow Sky could have gone with a darker ending than the one we’re given, which kills off its villains while redeeming its lost souls. It’s the type of film that often feels smarter about these issues, and perhaps if Peck was played by someone like Robert Mitchum, we’d expect such an ending. But the core of Yellow Sky is so delightfully seething, and much richer in its details than many of the obvious textures on Wellman’s The Ox-Bow Incident (which played as a double feature), that I’d gladly return to the ghost town any time.